Jamie Jones & Lee Fosss Hot Creations offshoot, Hot Waves, releases its third stupendous compilation this September. The 14-track compilation is released digitally on the 24th September. 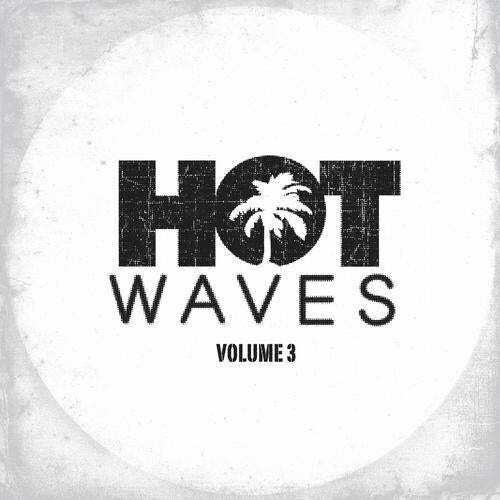 The two previous Hot Waves compilation have gone from strength to strength. Giving a voice to many new producers as well as stalwarts from the Hot Creations stable, this third Volume is probably the strongest yet. This volume features previous artists from Hot Waves compilations such as Alexis Raphael with his call to arms: Warhorn, French producer Julien Sandre teams up with Italian Dast for the brilliant Wanna Be, another driving house monster perfect for Hot Waves! Wildkats, are back teaming up with TBoy to produce the acid monster Denied, also Dirty Channels make their second Hot Waves appearance with the excellent So Special. Hot Creations artists Lee Foss, Miguel Campbell, Robert James, Richy Ahmed, Mark Jenkyns, Digitaria, Funky Fat and wAFF also make appearances alongside new artists such as Lee Websters hypnotic soul-infused slice of dirty house, Spend All Her Money, new Italian artist Bartolemeo delivers the psychedelic slow breaks of Jean Is Not Death. Tom Ruijgs drum-tastic Space Frase and 80s inspired Zohra by Guilhem and Remi Mazet. Robert James deliver another battle weapon in the James arsenal with fantastic Body Movement whilst wAFF delivers the sublime Sunshine, a fantastic slice of hedonistic house. Miguel Campbell and Richy Ahmed come together to make the electro-inspired Tell Me Why, whilst Lee Foss delivers another corker in the form of Life On Mars. Mark Jenkyns goes from strength to strength from his latest Hot Creations release with Moola. Finally there is an exclusive remix by Funky Fat of Digitarias huge Crazy Life! A veritable feast of beats and basslines! Watch out for Hot Waves 4 scheduled for release in late November this year with some more sonic delights!